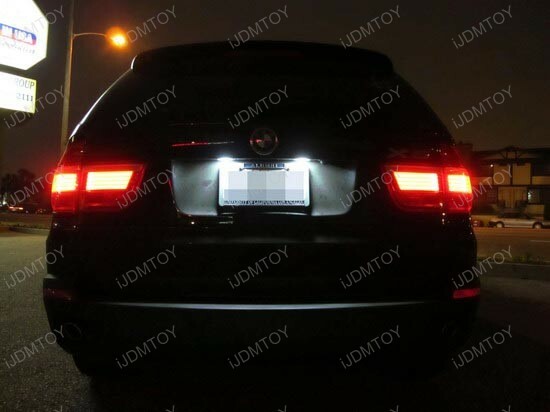 We have a special pair of license plate lights for BMW X Series 2007 and up E70 X5 or X5 M and also 2008 and up E71 X6 or X6 M. This error free LED license plate light will make the license plate area brighter (up to three times brighter than 6418 filament bulbs). 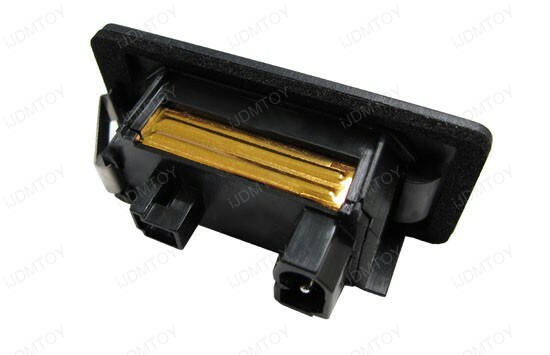 Because these are used to replace filament bulbs on some vehicles and original LED bulbs on others, this LED license plate light comes with CAN-bus load resistors to prevent computer errors registering with the low wattage of LED bulbs. 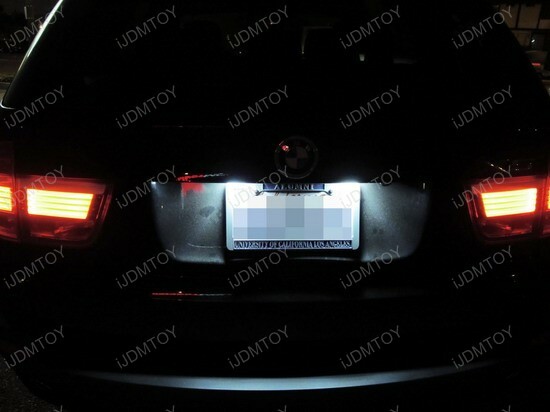 This LED license plate light has 18 pieces of SMD LED lights that give the license plate lights its shine. This is a common upgrade for many vehicles and overall greatly enhances the appearance. For fresh looking lights try out these for a change. The installation is quick and simple and you’ll be sure to get compliments when driving. 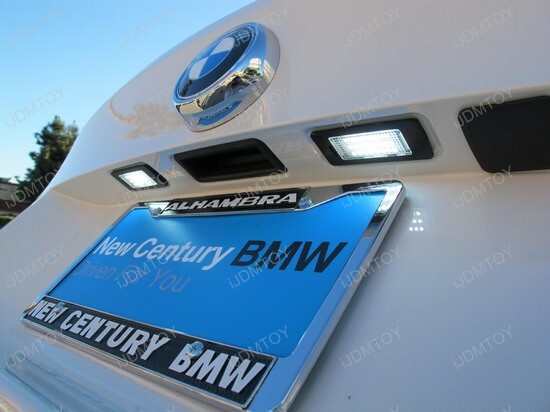 Many people found it very difficult to upgrade their European vehicles with LED license plate lights because of the "bulb out" warning showing up on the dashboard. Now, you got the solution! 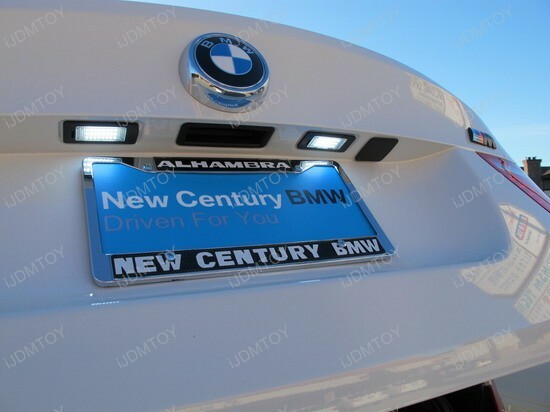 Introducing the all new Error free LED license plate lights to help you complete your LED in-N-out for your car. 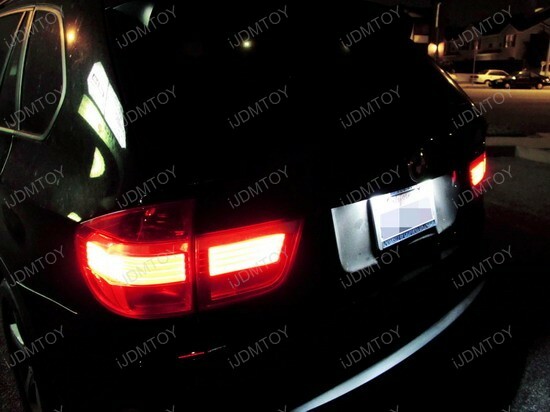 These Error Free LED license plate lights are specially designed for European vehicles without triggering an error message on your dashboard. We hope you enjoy these pictures shared by our customer. 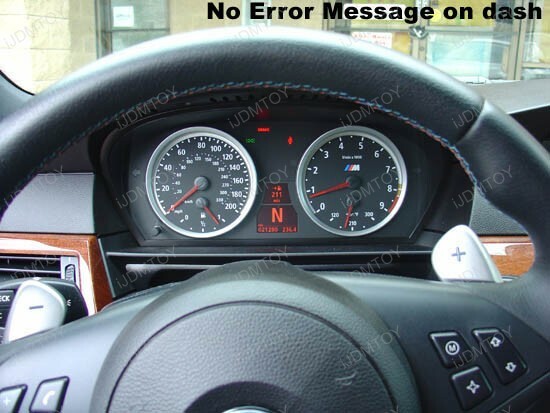 If you want to share you iJDMTOY.com product pictures, we will also give you a discount on your next order! 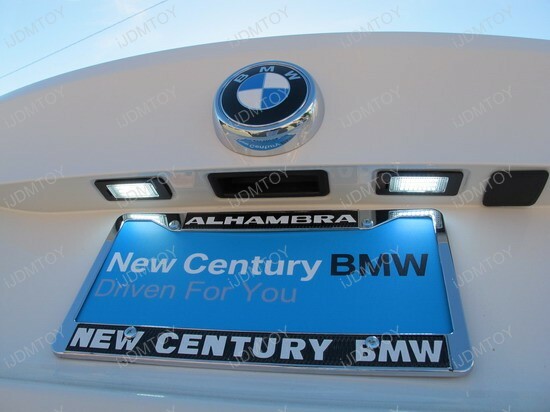 You can find this product on our OBC Error-free License Plate Lights page for BMW 3 Series, BMW 5 Series, and BMW X Series. 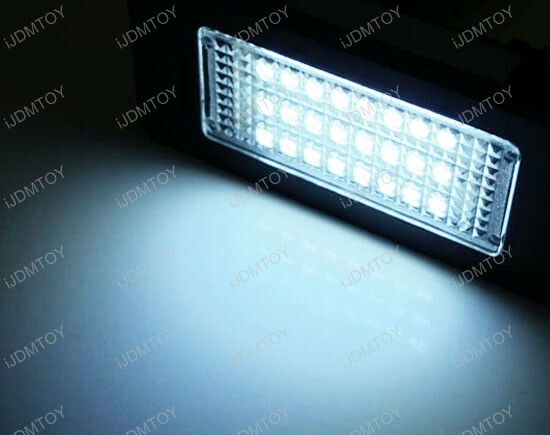 For more pictures on LED and HID products installed, please check our Gallery Pictures and Videos. Also for detail installations and do-it-yourself guides, please visit our Tech Support-DIY Resource Center. 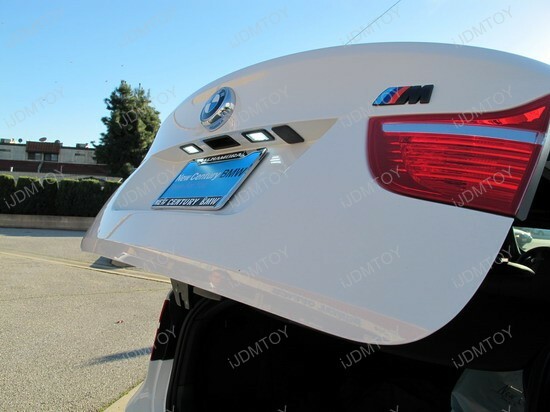 Brought to you by iJDMTOY.com, the Automotive LED Lighting Expert.